Dead Zebra put their latest themed set of Android collectibles up for sale early this morning and as expected, sold out in minutes. 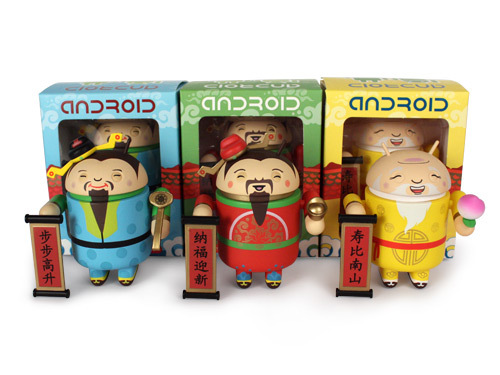 The 3 traditional Chinese New Year minis are some of their finest yet, with more detail than you’ll find in some action figures. As a collector, this is a set that you should do whatever it takes to obtain. If you missed this morning’s sale, you have another chance tonight at 11PM EST.